American Civil War, 1861 to 1865. Infantry in Frock Coat and Kepi. 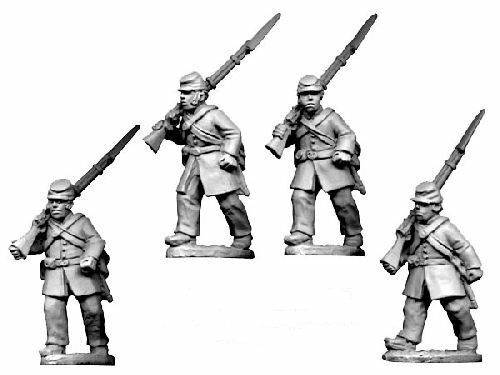 4x 28mm unpainted figures. Suitable for both the Union and the Confederate army.